My daughter was walking around downtown Grants Pass, Oregon and bought some old stamps. One of them was this one of a Potter. 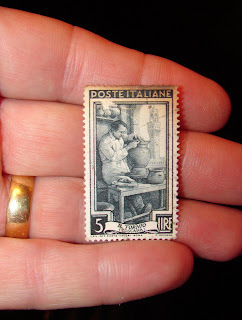 I am not a stamp collector so I am wondering if there are other stamps of Potters?